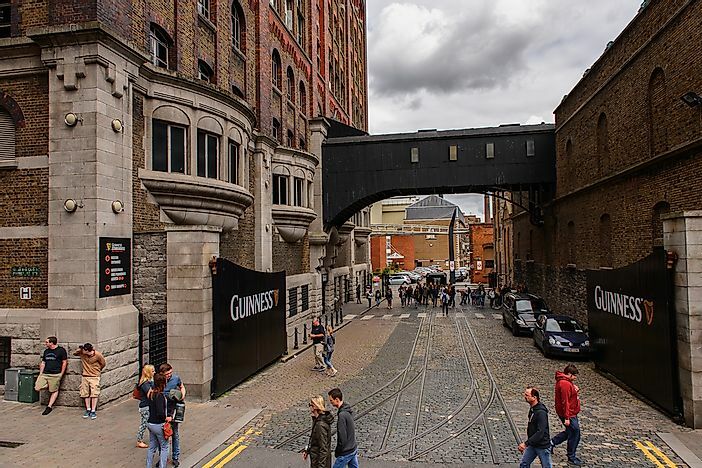 The Guinness Storehouse is one of Ireland's most popular paid tourist destination. 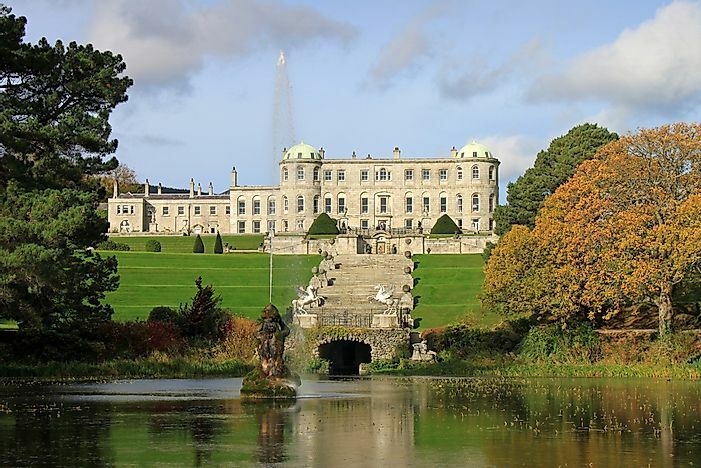 Regarded as one of the finest in Europe, the gardens at the Estate of Powerscourt and the nearby waterfalls serve as the 10th most visited paid attraction in Ireland. 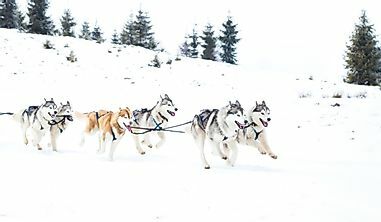 The attraction is located in the Wicklow Mountains in County Wicklow. The gardens feature numerous antique fountains, ironwork, sculpture, etc. 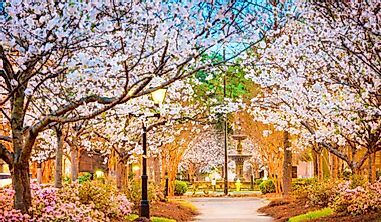 The trees at the gardens range from ancient natives to ornamental varieties. The gardens were redesigned by Daniel Robertson between 1743 and 1767. The 398 ft tall waterfall in Powerscourt is regarded as the highest in the entire British Isles region. The waterfalls have inspired many poets, artists, and writers to dedicate their works of art to the majestic waterfall. 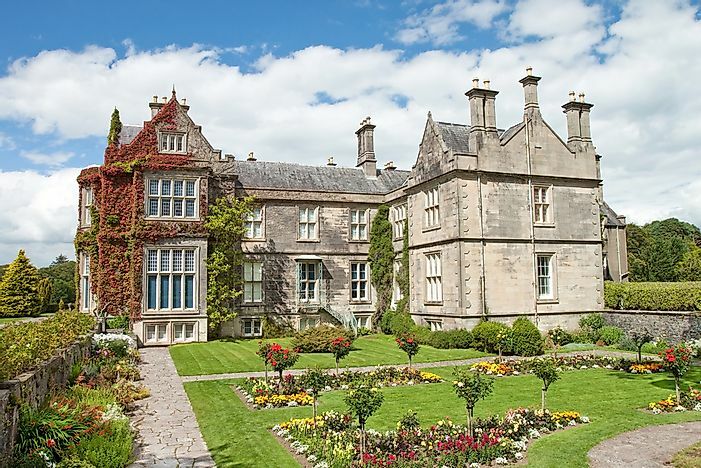 This paid attraction of Ireland is a magnificent Victorian mansion that is located in the Killarney National Park. A tour of the mansion takes visitors back to time and allows them to experience the lifestyles of the landed gentry in the early 20th century. The stately rooms and the spectacular surroundings delight all who visit this attraction. The gardens around the mansion host many exotic shrubs and trees. The traditional farms represent the Irish rural life as it was in the past. 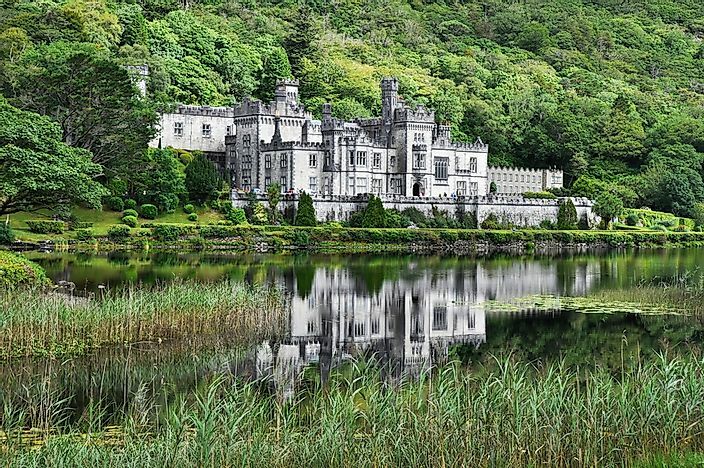 The Kylemore Abbey is a historic site located amidst a verdurous landscape on the grounds of the Kylemore Castle in Connemara. It represents a Benedictine monastery that was established in 1920 to serve as a home for the Benedictine Nuns who sought refuge in Ireland during the First World War. The Estate has magnificent Victorian gardens where nature walks can be enjoyed. 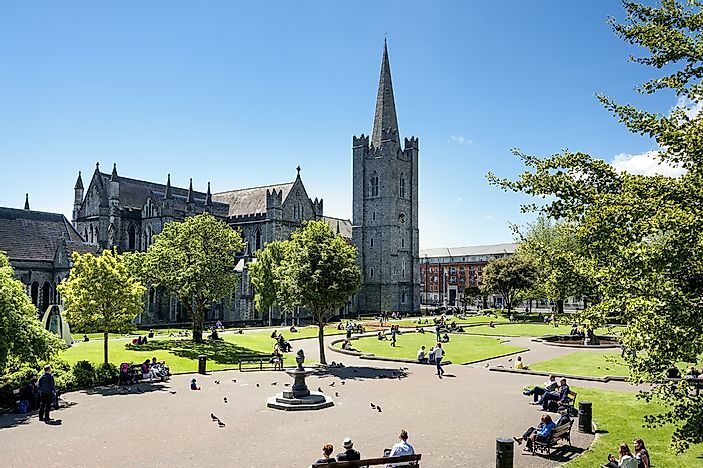 The seventh most visited paid attraction in Ireland, the St. Patrick’s Cathedral, is located in Dublin. It was visited by 603,000 people in 2017. The Cathedral was established in 1191 and currently serves as the Church of Ireland’s main cathedral. 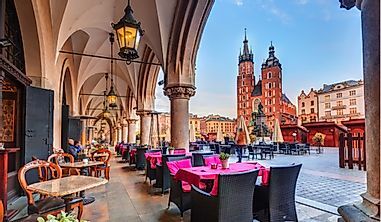 It is the country’s largest and tallest church. Its spire is 141 ft tall. This paid attraction in Ireland was visited by 735,000 visitors in 2017. 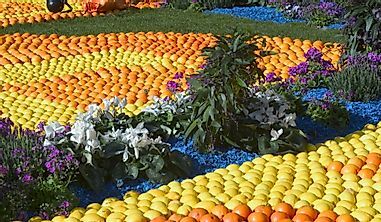 It is an amusement park that is located in Kilbrew in County Meath near Dublin. The park was opened in 2010 and currently hosts a number of rides and other attractions for people of all ages. 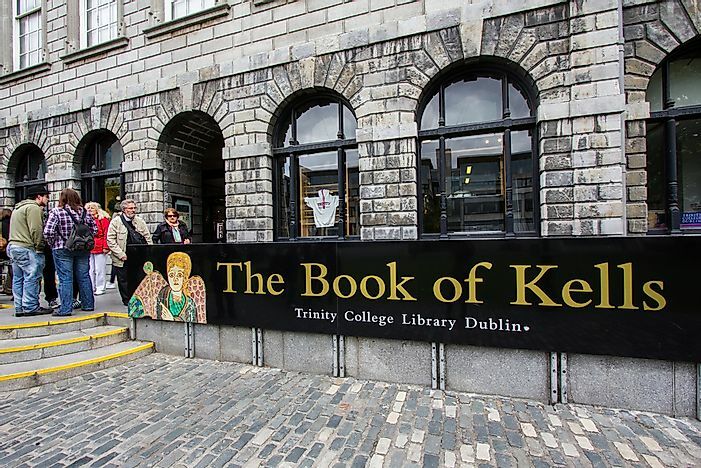 The Book of Kells Exhibition is the fifth most visited paid attraction in the country. It is located in the Trinity College of Dublin. The exhibition introduces visitors to the 18th century Ireland when the Old Library was built. The Book of Kells is the most treasured display at the exhibition. It is Ireland’s biggest cultural treasure. It is a 9th-century book of the four gospels and is richly decorated. The exhibition is open throughout the week and tickets to it can be purchased online or at the venue. The NAC is an indoor aquatics facility that is located in Dublin. It is the fourth most visited paid attraction in Ireland. 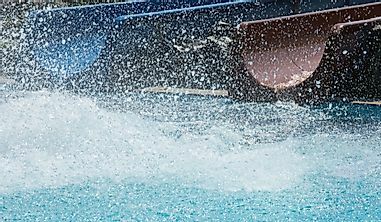 The facility hosts a large swimming pool, a leisure pool, aquapark, as well as a fitness center. Several important sports events of national and international significance have been hosted here. Ireland’s third most visited paid attraction, the Dublin Zoo, was visited by 1,264,300 people in 2017. 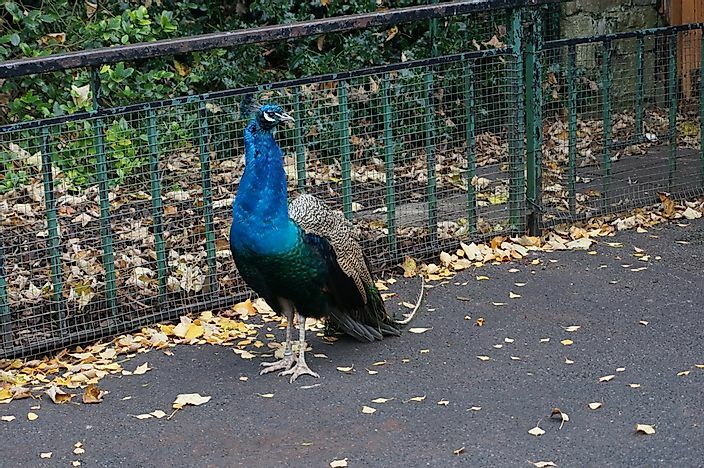 It is located in Phoenix Park, Dublin. The zoo was opened in 1831 and plays a significant role in the conservation of rare and endangered species. The zoo area is subdivided into various zones like the Orangutan Forest, Sea Lion Cove, African Plains, etc. The most visited natural attraction in Ireland, the Cliffs of Moher, is located along the country’s Atlantic coast in Country Care. The highest point of the area is at 702 ft above sea-level. The Hags Head is another attraction in the area. It is a rock formation that appears like a seated woman when viewed from the north. It is believed that an ancient fort once stood in the area. 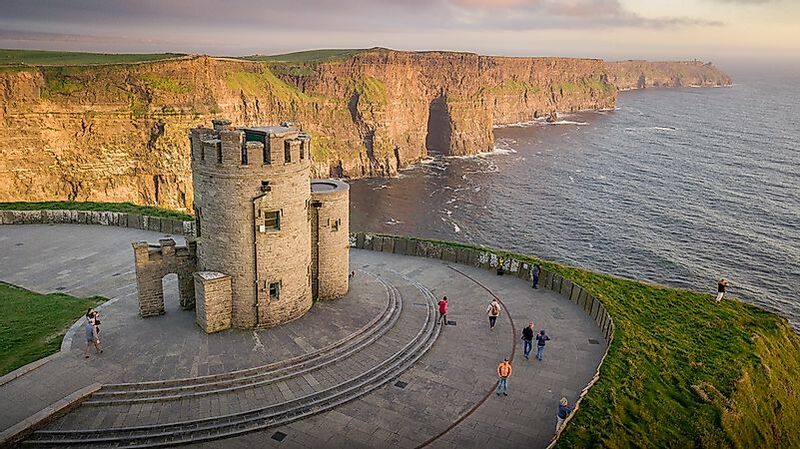 Cliffs of Moher Visitor Experience, the second most visited paid attraction in Ireland, is located about midway between the cliffs. It has a visitor center, an ancient viewing tower, and a protected pathway along the cliffs. 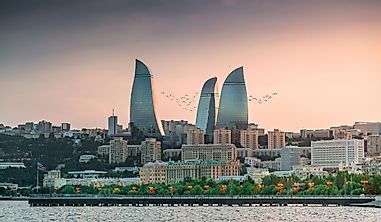 1,527,000 individuals visited this site in 2017. 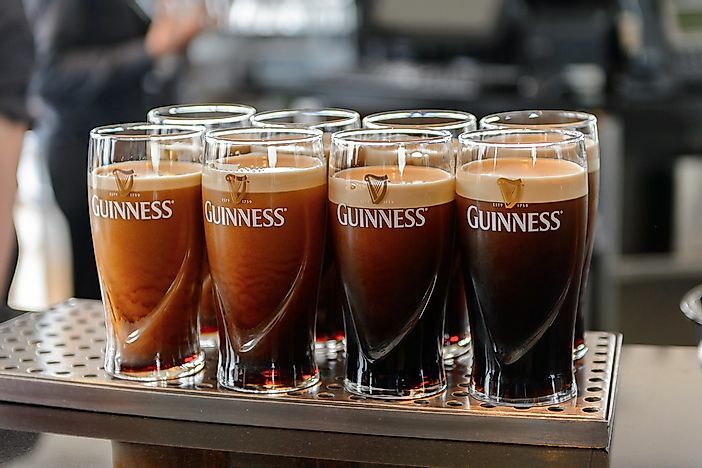 The most popular paid attraction in Ireland, the Guinness Storehouse, was visited by 1,711,281 visitors in 2017. It is located in St. James's Gate Brewery in Dublin. There are seven floors in the building that surround an atrium made of glass. The atrium is shaped like a pint of Guinness. The Storehouse reveals the history of beer with the help of various displays.